You can use the You are here button to add a personalised map image into each item of stationery. 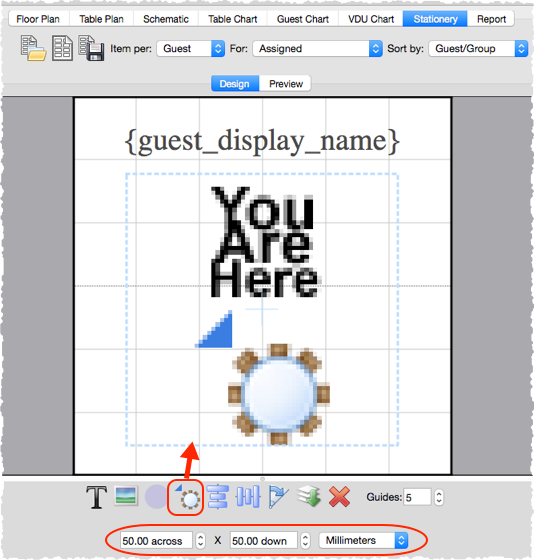 This map will show the appropriate seat, seats or table, depending on whether the Item per drop-down list is set to Guest, Group or Table. You may need to make the 'You are here' image quite large for it to be legible, especially if you have lots of tables. 1.Ensure that the Design tab is at the front. 2.Click on the You are here button at the bottom of the Stationery pane. 4.Set the image across and down size. 5.Click Rotate to rotate the image as required. 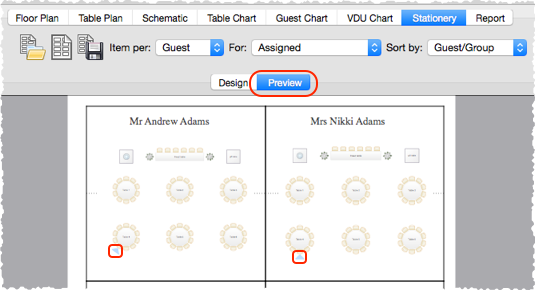 6.Click on the Preview tab of the Stationery pane to see how the images will appear when merged.